Delicious Individual Eating Traditions…I think I like that! I think introducing a new concept is the best way to introduce a new writing/show/dance…Oh my the opportunities are abundant! If you were to be sitting with me at this time, you would find a writer, smiling from ear to ear, typing away, in her beautiful, deep, pink Muu Muu. Yes, you read correctly my Muu Muu. However, it is only fitting for me to introduce my most exciting, a bit scary, extremely beneficial adventure, of my entire LIFETIME. I have written, created, and am now about to share with you…My GREATEST CREATION YET! The Podcast is entitled, “Muu Muu Talk With Teena.” The e-book, writings, club information will all be found here on the http://www.teenadrakeblog.com or Livelove & Carry On. All of this information will be authentic, researched based by real people, just like you & me, and has been proven to improve your life. Although it is entitled DIET, Muu Muu Talk With Teena is designed for the betterment of our lives. Whether that be beauty, body, travel, parenting, love, money, law of attraction or mentally healthy topics…My promise is all of the information will be for you to receive and decide for yourself, if it is for you. As we keep growing we will continue to add services, which will assist you with your DIET plan. But beware, after you embark on this lifestyle, you will cringe at the thought of returning to the ‘struggling’ to lose those twenty pounds, you have been losing and gaining your entire life. This particular mind set will disappear. In fact the terminology of struggling will be considering a life lesson. Because when we receive those ‘life lessons’ we rarely repeat them, in fear of feeling that struggle once again. Trust me. Yes, this is FUN! FUN! FUN! So if you are ready for this…then save this post, follow me on WordPress & any other socual media, and LET’S GET READY TO: DANCE YOUR MUU MUU OFF! I am on Instagram, Facebook, Twitter, WordPress, & Snapchat. I am super excited about sharing this journey with you. I wrote a book twenty years ago entitled, Stop Beating Up Your Best Friend, YOU! Which I chose not to publish. Now, with all the beautiful technology & opportunities, I can finally share with you. I am so excited! 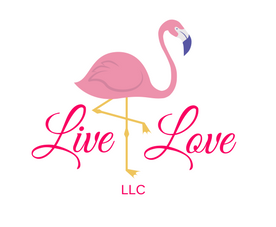 Remember, if you ever need a little extra help or feel like you have a question you need answered, Livelove & Sunshine Messages are always happy to assist you…email us at Livelove.teena@gmail.com or send a letter: Sunshine Messages P.O. Box 173 Milton Kentucky 40045. Written by: Teena Drake Visionary of Livelove LLC were uplifting others is our main focus. This entry was posted in adventure, Business, Energy, entertainment, Fat, Happiness, healing, Jimmy Falon, law of attraction, Life (Happy) Coaching, Like Begets Like, Love, marketing, Sunshine Messages and tagged changeyourfocus, dances, diet, e-books, enjoy, lifelessons, lifemanagement, LiveloveLLC, MuuMuu, weightgain, weightloss, yougotthis, YouTube on November 14, 2018 by teenadrake.